For sales-based call centers, where margins are so tight, it’s all about closing. Thanks to CallShaper, inbound or outbound call center directors can have a dynamic, highly flexible platform that enables sales agents to focus on making the sale. 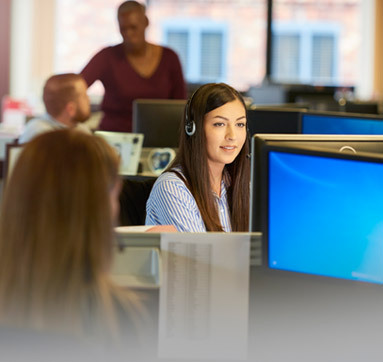 Thanks to CallShaper’s flexibility, call center directors who are managing multiple vendors from multiple locations can have everything they need on one platform that offers 99.999% reliability. And when it comes to reporting, CallShaper has no equal in providing real-time transparency. With CallShaper, clients quickly find that they are better able to manage efficiencies at the sales rep level – and make more money! 99.999% Reliability. Supports Multiple Locations. CallShaper’s intuitive platform allows for custom, do-it-yourself scripting and integration with third party systems. We understand how important leads are to a telemarketing campaign. With CallShaper, you have plenty of options to easily and effectively manage your leads. CallShaper’s accurate and easy-to-analyze reports quickly present the granular information on agent and media performance needed to keep campaigns on track. CallShaper’s system ensures client confidence with its built-in Quality Assurance Scorecard, offered at no additional cost. CallShaper has multiple dialing options available but what sets us apart is our “set it and forget it” Predictive Dialer algorithm. CallShaper’s compliance rules are built in. No need to worry about state dialing rules and holidays, or TCPA wireless dialing restrictions.